We no longer remember the first time we came across the work of Torbjørn Anderssen and Espen Voll, but certainly one of their products we first remember is the Alta bike (from 2004), developed with other Norwegian designers when the duo was still part of the collective Norway Says. Collaborating with some of the best international furniture and lighting brands, Anderssen & Voll are part of the new wave of Nordic designers who participated in the renaissance of Scandinavian design through serene, simple and elegant creations. 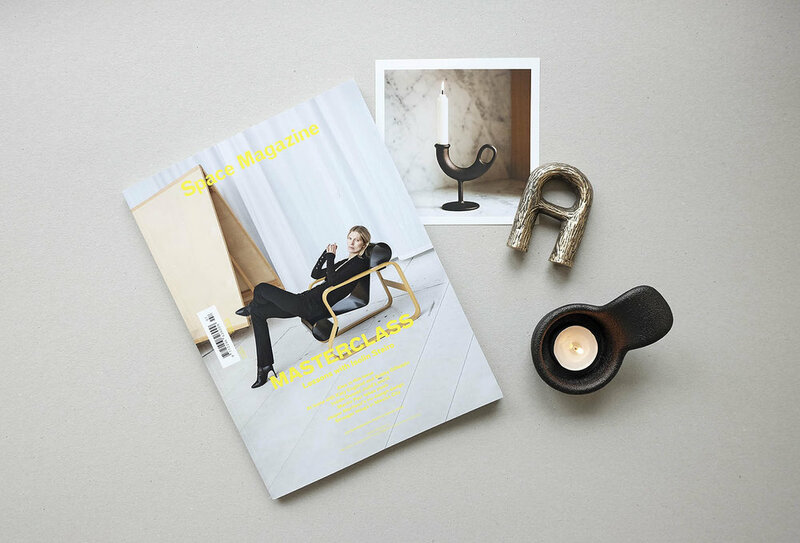 Incorporating the Nordic tradition of developing enduring and timeless products, Nedre Foss was born organically after Anderssen & Voll created the Ildhane candleholder for the interior design of the Nedre Foss Gård farm, which reopened in 2015 as a restaurant and brewery. We talked with Torbjørn Anderssen (on the right) to know more about him, Nedre Foss and his favourite products available at Cabana! The reason for starting my design education was the notion of design as a profession where you could be finished with something completely and get a physical proof of all the time and effort you’d put into your work. The reason for following this path onto the profession is of course more complex - the deeper you get into a subject the more interesting it becomes. Today I simply find a lot of joy in designing. I’ve been working together with Espen Voll for almost 20 years. It’s like wearing an old pair of shoes with a pebble in one of them - as we are comfortable in working together but rarely agree on anything initially. What led you to create Nedre Foss? On one side you have designers being more and more familiar with product development as the industry expects us to follow our products all the way to finished goods. On the other side you have independent suppliers supporting all the functions needed for bringing a product to market. And with the net we have the possibility to show our work pretty much instantly to everyone everywhere. Nedre Foss is a child of these factors. Compared to the work we do within our existing collaborations, we found opportunity and know-how within our network to express a different set of attitude and language in objects. The core of Nedre Foss is about making objects that will last you for a least 100 years and that are equally sculptural and useful. The most important part of a process is actually getting started. Anything could be inspirational and I don’t really go out of my way or do something particular to get inspired. To make an example: if we are designing a new blanket for instance, a texture on a wall, a part of a facade or a detailing on the clothes of a passing girl could inform the idea of the new blanket. If we weren’t in the process of designing a blanket we probably wouldn’t recognize that particular texture or clothing detailing as important at all. We’d probably have no conscious memory of it. We never wait for inspiration. Your three favourite products in Cabana?